Traffic Deaths Near Historic Low In D.C. The first six months of 2012 have seen six traffic fatalities in 2012, a big drop from the same period last year, when 17 people died in traffic accidents. Between 2002 and 2011, D.C. averaged 44 traffic deaths a year, with extremes ranging from 63 deaths in 2003 to 25 in 2010. In 2011, 32 people died. 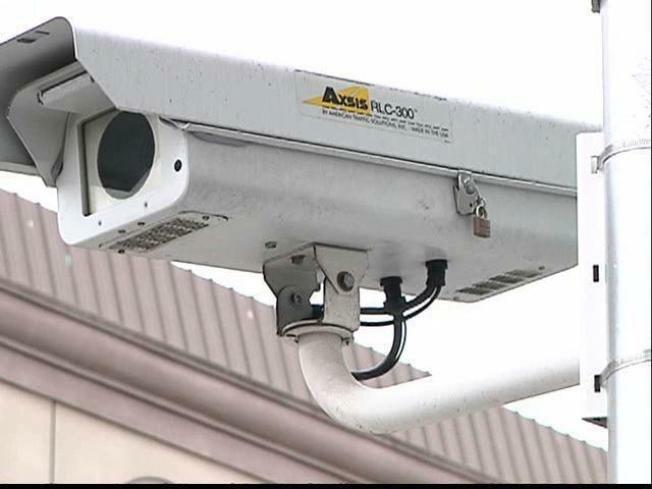 MPD credits the reduction in traffic fatalities to its somewhat controversial speed and red light cameras. "The bottom line is that people die because of excessive speeding and reckless disregard for red lights, stop signs, and other traffic laws, so we're trying to do everything we can to get people to drive more responsibly," MPD Chief Cathy Lanier testified before the D.C. Council in March. "Automated traffic enforcement does that, and saves lives." The nonpartisan Brookings Institute found that people are simply driving less, which also leads to fewer fatalities. Vehicle Miles Traveled (VMT) plateaued in the mid 2000s, and began dropping in 2007. The study's authors wrote, "If roadway safety is an important policy goal, reducing VMT is a requisite strategy since deaths plummet as VMT goes down. The 54-year-old driver of a Ford F150 pick-up was killed in a head-on collision with another pick-up truck, a GMC Sierra, on 900 block of Eastern Avenue, NE. The incident occurred on January 9, 2012. An adult female pedestrian was killed at 17th and Constitution on January 26th. Two adult males (19 and 18-years-old), the driver and his passenger, were killed in a crash in Northwest D.C. that occurred following a police chase. The driver of the vehicle lost control of the vehicle, struck a tree, police officials say, and then smashed into another MPD vehicle responding to the scene. The incident occurred in the 400 block of Taylor Street, N.E. on January 29. An adult male motorcyclist was killed in an incident on 12th and Franklin Street N.E. on February 17, 2012, MPD records show. A 31-year-old male traveling on foot was hit, and killed by a trash truck on the 2900 block of Harvard Court, N.W. District Police officials say the garbage truck was backing out an alley when it struck the pedestrian. The fatal accident occurred April 2. If this year's trend continues, D.C. could see a historic low in traffic fatalities.